The Yakuts (also known as Sakha), Turkic-speaking cattle- and horse-breeders, inhabit a vast territory in Central and northeastern Siberia. On the basis of the archaeological, ethnographic and linguistic evidence, they are assumed to have migrated north from their original area of settlement in the vicinity of Lake Baykal in South Siberia under the pressure of the Mongol expansion during the thirteenth to fifteenth century ad. During their initial migration and subsequent expansion, the ancestors of the Yakuts settled in the territory originally occupied by Tungusic- and Uralic-speaking reindeer-herders and hunters. 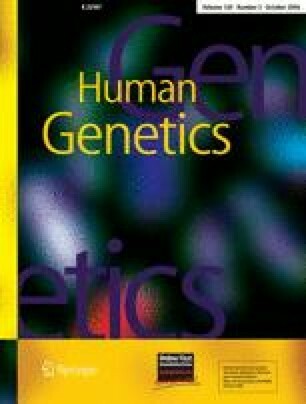 In this paper we use mtDNA and Y-chromosomal analyses to elucidate whether the Yakut immigration and expansion was accompanied by admixture with the indigenous populations of their new area of settlement or whether the Yakuts displaced the original inhabitants without intermarriage. The mtDNA results show a very close affinity of the Yakuts with Central Asian and South Siberian groups, which confirms their southern origin. There is no conclusive evidence for admixture with indigenous populations, though a small amount cannot be excluded on the basis of the mtDNA data alone. The Y-chromosomal results confirm previous findings of a very strong bottleneck in the Yakuts, the age of which is in good accordance with the hypothesis that the Yakuts migrated north under Mongol pressure. Furthermore, the genetic results show that the Yakuts are a very homogenous population, notwithstanding their current spread over a very large territory. This confirms the historical accounts that they spread over their current area of settlement fairly recently. Supplementary material is available to authorised users in the online version of this article at http://dx.doi.org/10.1007/s00439-006-0213-2. This study focuses on population prehistory as reflected by mtDNA and Y-chromosomal variation. It does not aim at ascribing ethnicity to individual groups, nor does it intend to evaluate the self-identification of such groups. We sincerely thank all sample donors for their participation in this study. The support of the administrative heads and medical staff of the districts visited during sample collection is gratefully acknowledged. Sample collection was funded by grant No. 6828 by the Wenner-Gren Foundation for Anthropological Research, Inc. to B.P., and by RFBR grant No. 03–06–96033р2003арктика_а to I.N.N. Research was supported by the Max Planck Society. We thank the members of the Molecular Anthropology group at the MPI for Evolutionary Anthropology and the participants of a conference where some of this material was presented for helpful discussions, Afanasij Fedorov and Tat’jana Sivtseva for DNA extractions, Patricia Heyn for mtDNA haplogroup typing, and Matti Heino for help with Y-STR typing.